One of our pet peeves in the bike industry is when uninformed riders loudly proclaim, it’s all personal preference, especially when talking about saddles, grips, and tires. There is science, design, materials, and manufacturing know-how behind each product – and there really are good ones, bad ones, and appropriate ones for many riders. SQlabs understands this very well, as they work with the contact points of the bike, including saddles, grips, and bars. Their saddles, for example, are fitted to closely match the sit bones of the rider. And they use the foam shape to match the style of riding. The new SQlab 60x saddle has a wider nose for better control when dropped. 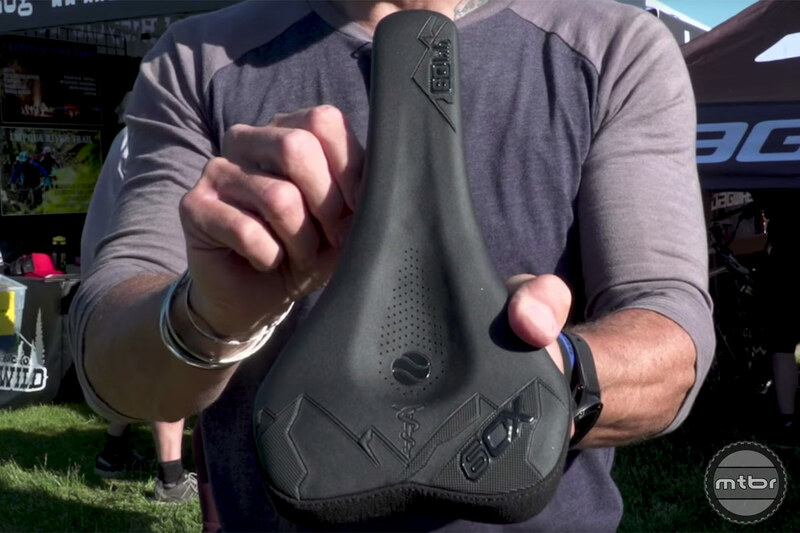 Thus, their new 60x saddle is available in different sizes and it has a few positions to sit on, matching the demands of dropper posts that put the rider on different parts of their sit bones. Different levels of elastomers are available, too, helping match the pedaling style of the rider. They also use firmer cushioning for longer rides, as soft saddles may feel good for 30 minutes but can produce discomfort if you’re out all day. Personal preference is indeed good, but it should come as one of the last parts of the decision-making process after all the science and ergonomics are taken into account. For more information visit www.sq-lab.com.